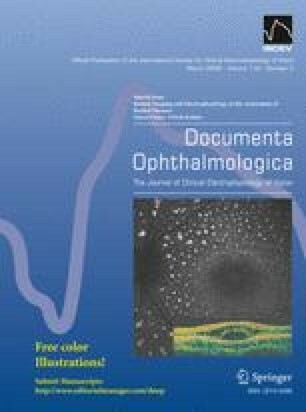 Purpose To report the spontaneous closure of bilateral traumatic macular holes in a young patient, followed up with optical coherence tomography (OCT), muti-focal electroretinogram (mfERG), and Humphrey visual field examination. Methods A 25-year-old male who suffered from bilateral blunt trauma to the eyes and developed traumatic macular holes was followed with ophthalmic examination, OCT, mfERG, and Humphrey visual field examination. Results The OCT results revealed spontaneous closure in both eyes 2 weeks after trauma, and the macular holes remained closed in the 7 months of follow-up. Visual acuity improved to 0.7 in right and 0.9 in left eye finally. Visual field examination and mfERG results improved slightly compared with the initial tests. However, there still were central scotomas in both eyes, especially in right eye at the end of follow-up, and the peaks of the retinal response density had not recovered in the macular area of the mfERG topography. Conclusions Spontaneous closure of unilateral traumatic macular hole is not uncommon, but there is no report of spontaneous closure of bilateral traumatic macular holes as yet. Since the traumatic macular holes may close spontaneously, traumatic macular holes may be observed for a period of follow-up.